Thai Steel Cable Public Company Limited is a manufacturer of automobile and motorcycle control cable and window regulator, supplying to leading automobile and motorcycle manufacturers domestically and internationally. Presently, the company locates at Amata City Chonburi Industrial Estate, Chonburi province. TSC is a joint venture of Summit Corporation; the prominent leader in various businesses especially parts producers of automobile and motorcycle assembly market in Thailand, and Hi-Lex Corporation, the largest manufacturer in Japan and one of the world’s major players in control cables. The great effort of the management bore the fruit of continuing growth since its establishment in 1978 until now. 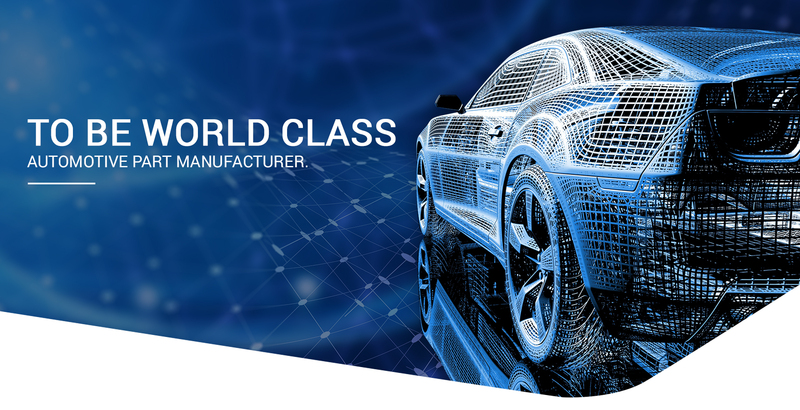 Our products have been widely accepted among automotive manufacturers globally. We started our early years producing motorcycle control cables. Later the production lines expanded to of automobile, then to supply the export market. Great support of our partners, experienced executives, vast business expertise, and skilful staff generated persistency in improvement of quality, research and development, and the production with high technology. We believe that the ever-growing improvement would enhance standard of our brand and created confidence toward quality of automobiles and motorcycles producing in Thailand that, with the innovated and developed process of product creation, they are of durability and provided the highest safety. Such conditions shall pave our way to be world class automotive control cable manufacturer. On February 11, 2019 Thai Steel Cable PCL. arranged “TSC Donation Table Calendar 2019”. Our members donated table calendar to Educational Technology for the Blind Center, Foundation for the blind in Thailand under the royal patronage of H.M. the queen. The used calendar will support for the production of Braille books. On the 07th Feb 2019, Thai Steel Cable PCL has received the “2018 TCC SAFETY Activity” Certificate from Toyota Daihatsu Engineering & Manufacturing Co., Ltd. (TDEM). On the 22nd Jan 2019, Thai Steel Cable PCL has received the “2018 TCC Risk Management Activity” Certificate from Toyota Daihatsu Engineering & Manufacturing Co., Ltd. (TDEM). On the 18th Jan 2019, Thai Steel Cable PCL has received the “2018 TCC QA Improvement Activity” Certificate from Toyota Daihatsu Engineering & Manufacturing Co., Ltd. (TDEM).